MANHATTAN — Nothing says New York like a Jell-O-like model of Manhattan’s famous skyline. 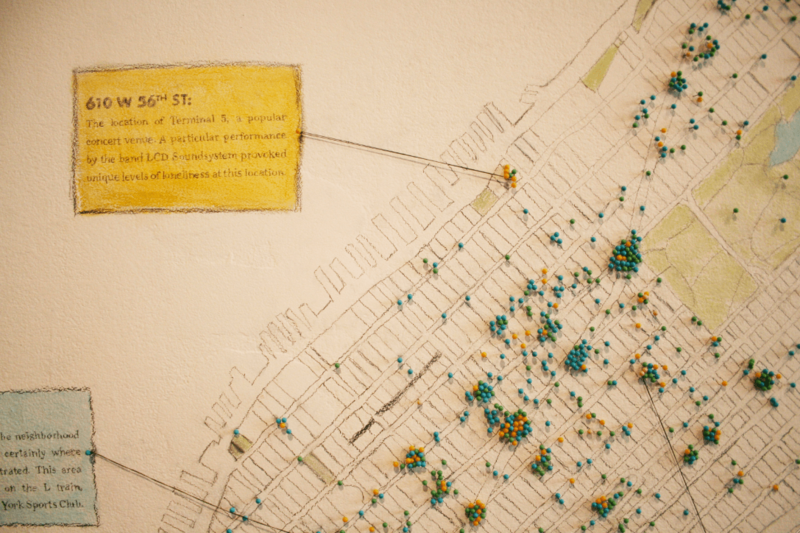 The collection, which also includes a chart of Craig’s List “missed connections” sites, a map of Manhattan bodegas, and an active bee honeycomb shaped in the form of the five boroughs, was brought together by Seattle-based guest curator Katharine Harmon. I had the phenomenal opportunity to cover closing night at the 48th Annual New York Film Festival. The closing night movie was the premiere of actor/director Clint Eastwood’s new movie “Hereafter”. I got to catch up with him and the rest of the magnificent stars of the movie! I had the privilege of speaking to two of the cast members of “Leap of Faith”, which will hopefully be making it’s Broadway debut sometime next year. Not only did we get to chat about the show, but here’s a backstage look at the show! Special Thanks to: Elisa S. and Sarah H.
Kathie Lee Gifford hosts the second annual Born for Broadway concert — to benefit the Christopher & Dana Reeve Foundation — Oct. 4 at 8 PM at New World Stages. Ragtime Tony nominee Marcia Milgrom Dodge directs the evening, which features musical direction by Larry Yurman. The Christopher & Dana Reeve Foundation is dedicated to “curing spinal cord injury by funding innovative research, and improving the quality of life for people living with paralysis through grants, information and advocacy.” For more information visit website at www.ChristopherReeve.org. NEW YORK (AP) – A patron at the Stonewall Inn, a powerful symbol of the gay rights movement since protests over a 1969 police raid there, was tackled to the floor and beaten in an anti-gay bias attack over the weekend, authorities said Monday.